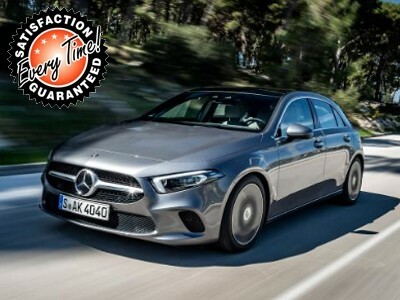 This Mercedes A Class is available in Silver, Black, White, Red, Blue other colours and lease options, subject to availability and includes a warranty. Regardless if you have good or bad credit, this Mercedes-Benz A Class Hatchback A180 SE 5dr (Bad Credit History) deal is suitable for business and personal use and comes in various colours, specifications and options. » Contact us for more Mercedes-Benz Deals like this. This representative example is based on a Hire Purchase agreement. This is a 0% deposit used vehicle, ideal for people with poor or bad credit history and there is no first payment then £318.97 x 60 exc. Vat. A hire purchase finance agreement works by offering you a secured car loan against the vehicle that you are purchasing. In simple terms you are hiring the vehicle off the lender and paying a fixed monthly payment (including interest) over an agreed term. Once all of your monthly payments and the option to purchase fee has been paid in full, you will then be the legal owner of this vehicle. If you wish to pay a deposit and reduce the monthly payments, please contact us and we can provide you with a free quote.